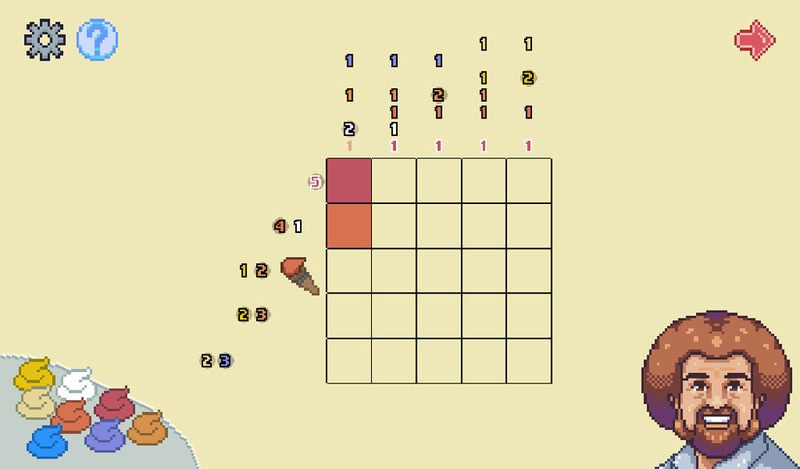 "A Picross game hosted by Bob Ross!" 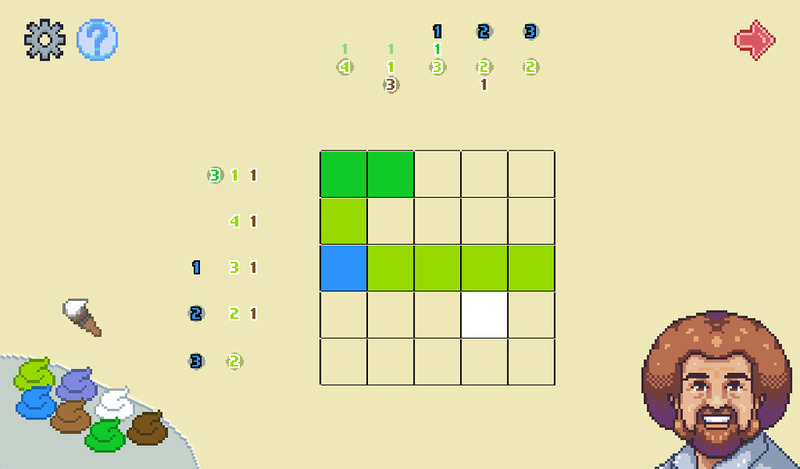 Bob Picross is a challenging puzzle game in the genre of Picross which if you are unfamiliar is a kind of puzzle which is like a virtual Rubix cube, using numbers and pictres to create a pattern or picture on the screen. And who better to present a game of this nature than the inimitable late host of The Joy of Painting: Bob Ross and having his pleasant face, smile and guidance throughout the game will help you to keep your patience and remind you to remain calm when some of the puzzles become a little too challenging. Bob Picross is a very challenging game which means as long as you have the patience you should get a good amount of playing time out of this puzzle game, with five different puzzles to complete there is enough here to keep even the fastest problem solver occupied for a while. 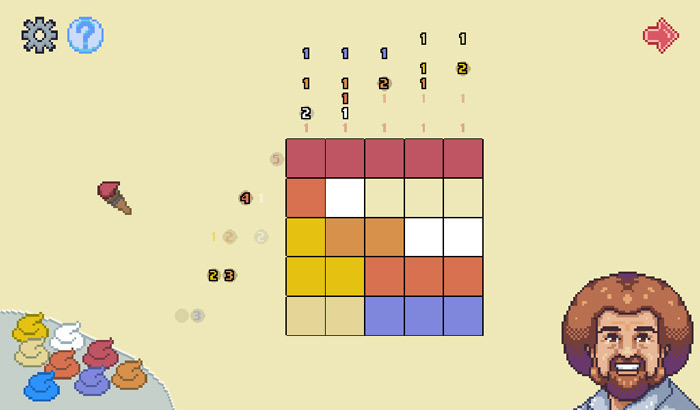 Made for a recent game jam, this shows a lot of promise and perhaps we will be lucky enough to see an even more expansive Bob Ross puzzle game in the future. You can download Bob Picross here for free.